People will be able to fill up with water for free thanks to a public water fountain which has been installed at Chichester District Council's offices. The council has installed the fountain as part of an action plan to reduce single use plastics which was agreed by Cabinet at its meeting on 2 October. The fountain has been installed close to the reception area in East Pallant House. It is part of the national REFILL scheme which enables people to refill their water bottles for free at REFILL stations across the country. People can easily find REFILL stations using their smartphone by downloading the app. The impact of single use plastics on the environment is an area of growing public concern, particularly when they are found washed up on beaches or in the sea. continuing to support locally led community anti-pollution groups working towards making Chichester District and its coastline a single use plastics free area. As part of the plan, businesses in the district will be encouraged to reduce their use of single use plastics and recycle using the council's Business Waste and Recycling Service. The council will also be working with the Chichester Business Improvement District (BID) to support their ambition to make Chichester plastic free. The council will be working with West Sussex County Council to motivate young people and their families to reduce plastic usage and increase recycling. This will be done through our ongoing schools education programme, in association with the West Sussex Waste Partnership. 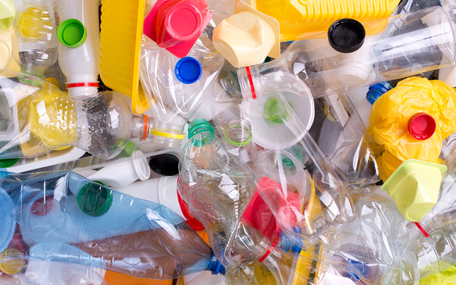 This scheme provides educational resources to primary schools to enable children to explore plastics and recycling and learn how plastic pollution can be prevented. The council will also continue to work with Southern Water to deliver the Selsey Bathing Water Enhancement Project. This will involve supporting local businesses near the coast to use alternative packaging, particularly for takeaway food, to reduce the amount of single use plastics found during beach cleans. "Our plan to reduce single use plastics includes a wide range of initiatives, many of which are already well underway," says Councillor John Connor, Cabinet Member for Environment Services at Chichester District Council. "Campaigns such as the council's Against Litter campaign have already had an impact on reducing plastic pollution by promoting community clean-up activities through the Adopt an Area scheme. This campaign has been included in the plan and will continue to be promoted with a stronger focus on plastic pollution and ways to tackle it. "All of these activities combined will help us to create a plastic free Chichester for future generations and we look forward to continuing to work with residents, businesses and community groups to achieve this common goal."